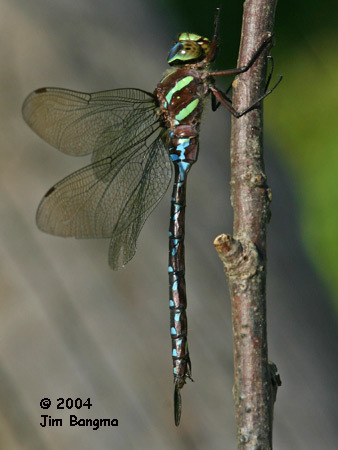 It is usually found along small ponds and marshy streams. 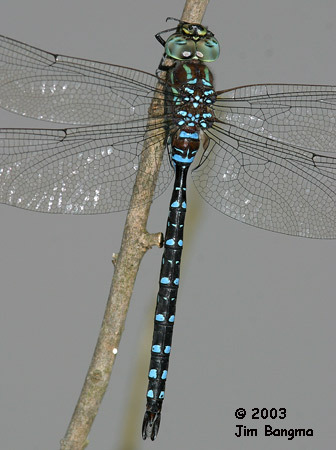 Elegant, with nearly straight thoracic stripes and blue spots on the abdomen. 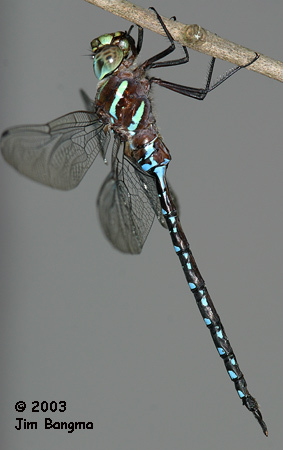 If seen well, S10 is all black, unlike our other darners. 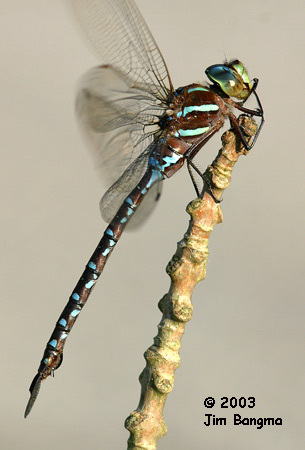 It may tend to patrol farther from shore than most of our other darners.